Every drone pilot knows that flying is a learned skill and the only way to build proficiency is to fly more. But proficiency (how competent a pilot you are) and currency (how recently you’ve flown) aren’t the same thing. 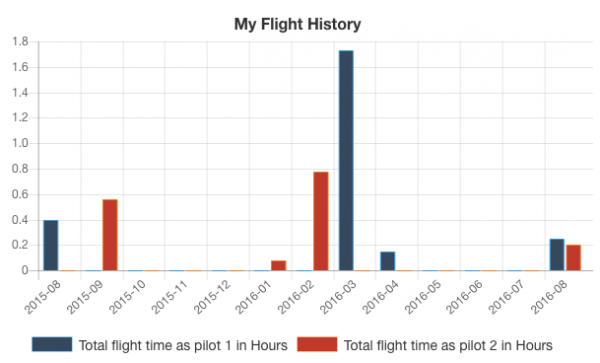 In this post, I want to focus on pilot currency, which measures how recently a pilot has flown (on a particular platform). Safety in emergencies: In case the drone does not behave as expected while in autonomous mode, the safety pilot can put it into a manual operation mode and safely land the drone. Regulatory requirements: Civil aviation authorities still require Visual Line of Sight (VLOS) to be maintained for both commercial and recreational drone flights. Customer confidence: At the end of the day, it’s good to know that the human pilot is ultimately responsible for the completion of the mission, even if the drone is operating autonomously. Maintaining currency shouldn’t be something you do just to stay legal as a licensed drone pilot. A responsible commercial pilot who keeps building proficiency in regular flying manoeuvres and responding to emergency situations should generally maintain currency as part of that process. Most drone manufacturers provide Ground Control Station (GCS) apps which record flight logs. For example, DJI provides the GO app which stores and displays your flight history. That may be sufficient if you only ever fly drones from a single manufacturer, but chances are that you use a variety of drones in your business to meet different needs. That’s why we recommend that companies maintain their own flight logs in a centralised location, regardless of which drones you’re flying. Keep track of goals: If you set a monthly/yearly flight currency target and track your flights, you can take active steps to maintain that currency without being surprised and having to rush when your currency is about to expire. As regulations for drone pilots approach manned aviation standards, maintaining currency will be a key responsibility for a qualified and licensed drone pilot. Easily monitor currency for multiple platforms: I fly a variety of drones and am naturally more familiar with some than others. What’s important is that I must be operationally ready on a selected few drones. Being able to slice and dice my flight records as I wish helps me to ensure that I’m always ready to fly. Quick overview of team currency: As drone operations become more complex, drone pilots increasingly operate in teams. 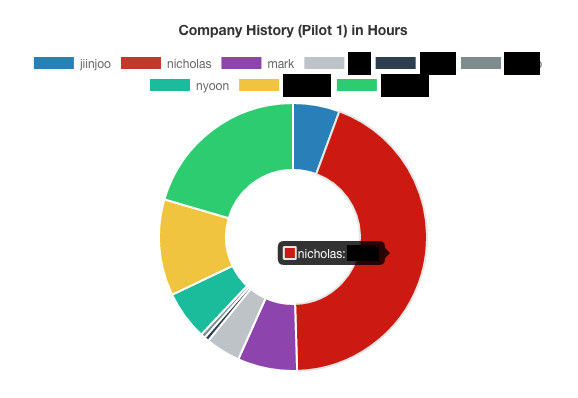 Being able to quickly gain insight into individual pilots’ flight histories makes it easier to select the right team for the job. Here’s how we track our flight records on Garuda Plex. 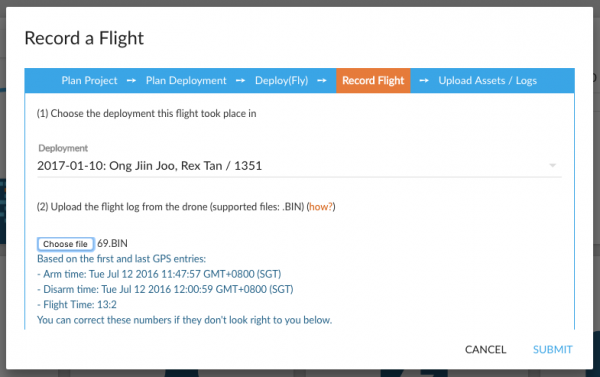 Create a flight record after every flight: After each deployment, we extract and archive all flight logs. We upload them into Garuda Plex to pre-populate each flight record. Garuda Plex currently allows you to record flight activities for two-man teams (Pilot 1 and Pilot 2). In this scheme, Pilot 1 would be responsible for manual flights using a handheld remote controller, while Pilot 2 is the flight engineer monitoring the GCS and operating the drone programmatically. If you operate as a one-man team, you would log all activities as Pilot 1. Here’s my flight history in Garuda Plex. Since I spend way more time building software, I’m far from the most active pilot on the team. At a glance you can see that there are many months where I’m not maintaining my flight currency. I’m most active on our M06A platform which is a hexarotor commonly deployed for commercial inspection and mapping. I do some work with the Phantom 3 Pro too. You can get very specific date, time and location details; you can even see who you flew with. You’ll also notice we track the serviceability of each drone after a flight as it directly impacts planning for subsequent deployments (more on this in another post). Although we don’t currently use Plex as a leaderboard, being able to see everyone’s flight history at a glance helps us to monitor and maintain flight currency for the team. No surprises here: Our Chief Pilot Nicholas has clocked the most hours as Pilot 1. 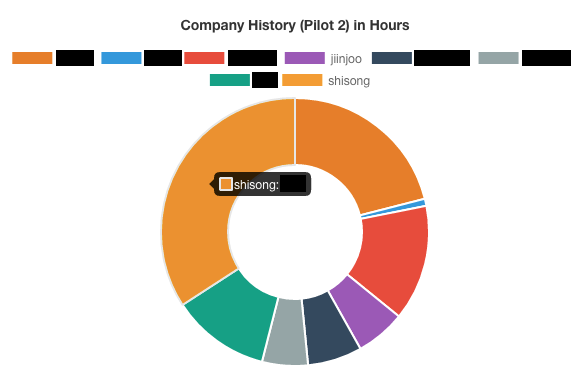 Meanwhile, one of our interns – Shisong – has rapidly climbed up the leaderboard for the Pilot 2 role after several long deployments monitoring the GCS! This short 10-minute survey will help us understand what you need to make drone operations smoother, safer and more effective. To show our appreciation for your feedback, we’ll be randomly selecting 10 survey respondents to receive a free 6-month subscription to Garuda Plex (worth $90)!